This quilt is so fun! If you love applique, or want to learn, this quilt is for you. 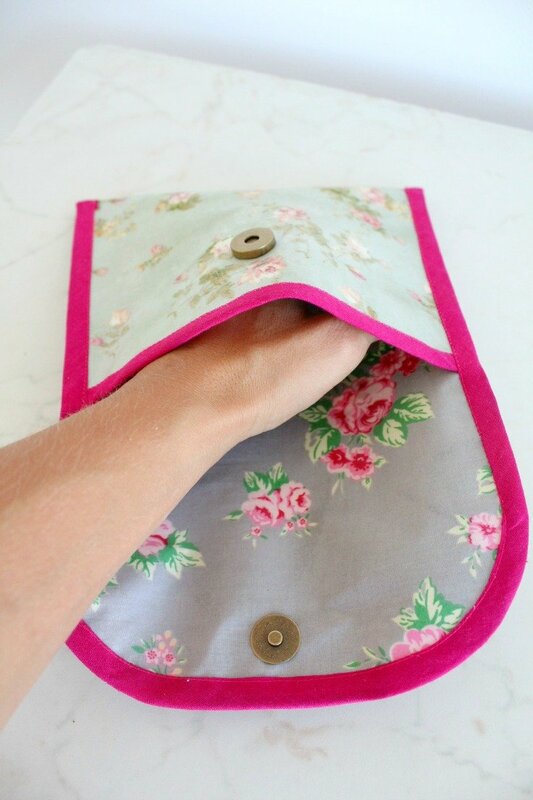 Pam includes a link to her tutorial on applique, so you're covered there! Pam used great colors to create this awesome quilt. The tutorial includes 9 robot templates free for download. 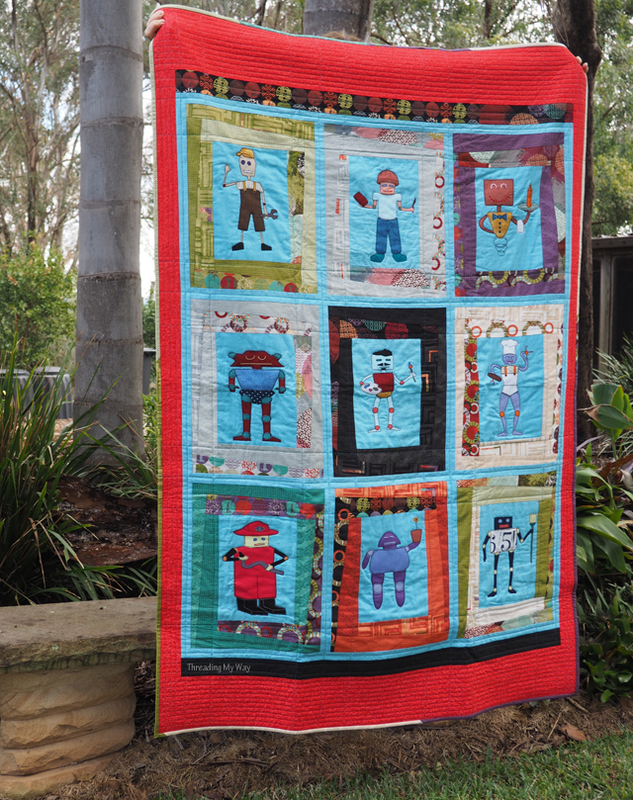 "Today I am very happy to show you the Robot Quilt - nine wonky log cabin style blocks, each with a robot appliqué in the centre. It's an understatement to say I am thrilled with how this quilt came together. 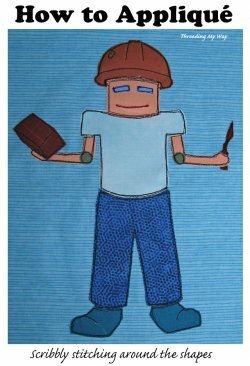 The nine robot appliqués each represent a different job or occupation... mechanic, brick layer, waiter, stay at home parent, artist, chef, fireman, gardener and cleaner. They were all designed and drawn by my youngest son. Aren't they fabulous!!!"